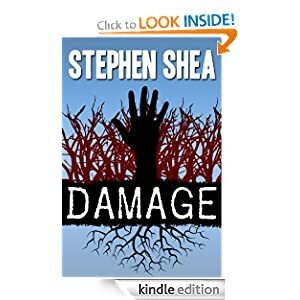 Well a few posts ago I told you how I miraculously sold more books than Stephen King (in a 48 hour period)! Well, now I can report to you the amazingly stupendous results. Yes, this is breaking news folks! Last month DUST sold a whopping 1355 copies. Since the highest monthly total before that was 360 copies, I was bountifully pleased by this result. That chart shows dust jumping up from abut 160,000th place to 600th. Then slowly falling back down. Apparently what goes up must come down. Thanks a lot for the gravitational laws Newton! At one point I had told myself I'd be happy if I made about $1000.00 in the space of a year. Since that goal was surpassed in the space of a month...well, I'm green with happiness. I don't expect next month's sales to be anywhere near the same amount as September. But if they continue at the level they're at today (about 10,000 on the charts) I'll actually make as much money through fewer sales (because at 2.99 I make a 70% royalty, at .99-2.98 it's a 35% royalty). Isn't that pretty? And it has different colours, too. The blue colour represents the sales of DUST. 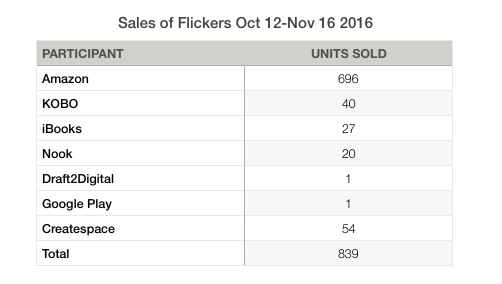 But you can see that a few of my other books are starting to pick up a bit (in fact every book had increased sales over last month). The total for all books was 1467 copies sold. So last month was a good one. 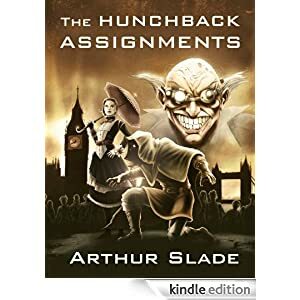 And this month I now have all three of The Hunchback Assignments books available on kindle UK (in fact I'm giving away the first one to get my British cousins to try the series). We'll see if that strategy works. Yep, I'm going all literary with this update on my ebook sales. We all know from Gulliver's Travels that Brobdingnagian means giant-sized. * And this is a giant-sized report! Well, actually it's kind of small. It's more Lilliputian. But, really, who would click on a headline that says, "Author shouts out about lilliputian book sales!"? Anyway let's start with a chart! Eeek! My sales have gone all Lilliputian! 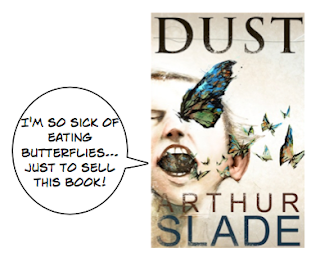 I was warned about the doldrums of August by other ebook publishers. Apparently sales do drop in August. Get off the beach and buy books everyone! Anyway, here are the numbers. I gave away 7545 copies. 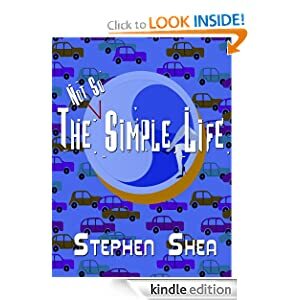 But when I switched the book back to "paid" status Amazon's magical algorithms made it shoot up the charts and it sold 33 copies in two weeks (the highest it had averaged was 18 copies in a month). So there was some small immediate benefit to giving it away (plus it now has several new positive reviews). And I hope over time those 7500 readers will look kindly on the other books in the series. Hey and there's other good news. 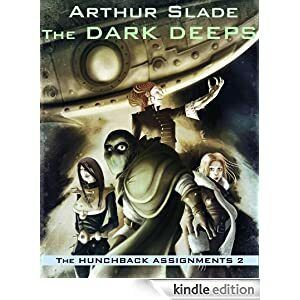 I released The Hunchback Assignments and The Dark Deeps in the UK. That's one of the clever things about ebook publishing. My agent sold the rights to these books to several countries, but the UK hasn't picked it up yet. So, with the click of a button, I can invade the UK. My hope is to make a little noise over there. So far...3 copies sold! C'mon Britain, remember when we Canucks helped out with that Boer war thing? You can finally pay us back! I am doing a few experiments at the UK amazon with free books...which I'll update at a later date (see, I'm trying to make this all sooo mysterious). Overall, I had hoped to be further ahead in the ebook world after 7 months. I think the real test of this experiment will come over the next few months which are traditionally the busiest in book sales. And, as I've said before, every copy sold is a copy I wasn't selling before. All of these books were either out of print or not for sale in selected countries, so I'm making money on them now. And someday that Brobdingnagian load of royalties will come my way, right Gulliver! Right? *next time you go to Starbucks refuse the Grande Latte and demand a Brobdingnagian latte. That'll shock their organic socks!